Teamwork, trust, ambition; three words that sum up the Borderlands series. Omnipresent, even in their antithetical forms, these facets have been at the root of the franchise since the beginning. 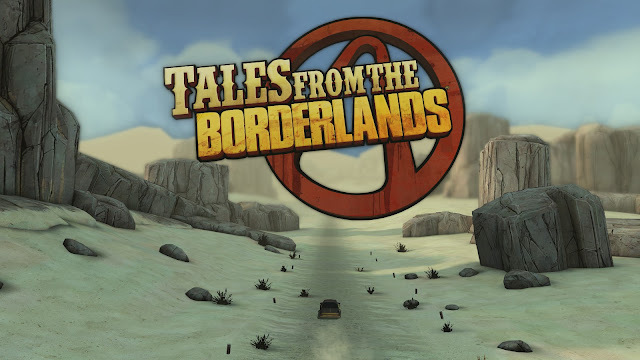 Where Borderlands 2 deepened the narrative of the franchise, Tales From the Borderlands increases it exponentially. Told through the lens of Telltale's characteristic methodology, Tales shows through as the best story to come out of the series' tumultuous universe. What begins as the the tale of a con gone wrong quickly snowballs into a grandiose adventure spanning the whole of Pandora and many of its iconic characters. The season's two principle (playable) characters, Rhys and Fiona seem at first to fit squarely into their stereotypical roles; Rhys, the ambitious corporate man, Fiona the hard-luck con artist. Yet, as the episodes roll along, the flaws in that fit comes into sharper focus. By the finale, we see the same two in drastic contrast to their earlier portrayal. Truly one of Telltale's greatest strengths is their ability to pace and flesh out characters over time, and it has paid off so spectacularly in Tales. By the end of the fifth episode, each of them was in a place that I couldn't have possibly predicted them to be. Of course, this could be said of many of Telltale's games. No one in recent memory has had the gall or naivete to accuse Telltale of poor story telling. 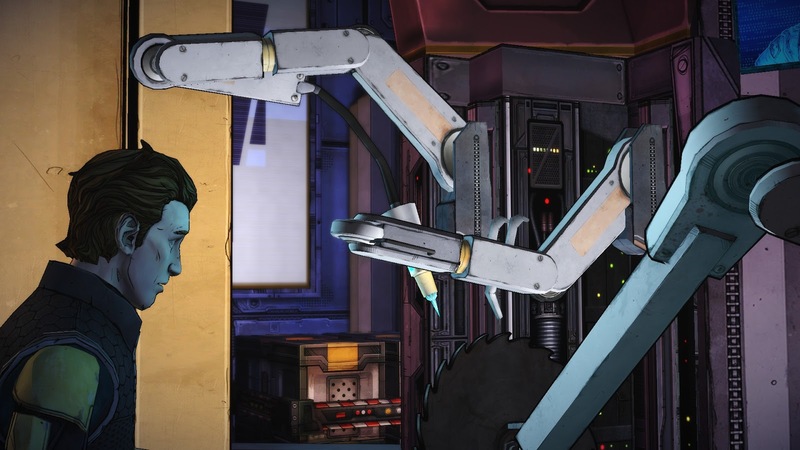 What sets Tales From the Borderlands apart is the weight it carries within its setting. The Walking Dead carries a great deal of emotional weight and narrative momentum, but the ripples of the player's and character's decisions aren't felt anywhere in the greater canon of either the show or graphic novel. Likewise, Game of Thrones: A Telltale Series occupies a peripheral place among the events of the books and HBO series. Gearbox Studios gave Telltale unfettered freedom with the strings and ties of the Borderlands games, allowing them to incorporate significant characters in ways that could affect the course of future games. Anyone who is interested in the franchise and its direction should look at Tales From the Borderlands for their first clues. We are so very aware of Telltale as a dramatic force, but as I pointed out when speaking of Minecraft: Story Mode, to say that drama is the developer's wheelhouse would shortchange their talents. Their earliest successes were with the madcap Sam and Max (which ran for three seasons) and Tales From Monkey Island. While even their more serious games have had their humorous moments, Tales seems the first to incorporate both humor and drama in equal measure. It is therefore the first game in the developer's repertoire that displays the true extent of their talents. Despite the requisite absurdity of any Borderlands games, when Tales gets serious, it delivers just as solidly as it does with any joke or bit. Please understand how difficult it is to elucidate these moments without straying into spoiler territory. Is it enough to say that Tales managed to reduce me to tears more often than I was accustomed to? Likely no. The five episodes are packed with moments better experienced than described, especially the latter half. Allow me to rephrase that at length; there are entire scenes in which the dialogue, music, animation and every other conceivable element are so perfectly in concert that the result is far more than the some of those parts. Though every episode is excellent, the finale is unequivocally the greatest of the five. Every thread, no matter how small or loose, is carefully gathered and woven into the greater tapestry. Even Telltale's oft used "quicktime events" which have become the subject of many reviewer's woes, are used in ways that keep them fresh, challenging, and fun. What's more, all of this is achieved without ever calling any glaring attention to it or making drastic changes to the structure. They fit seamlessly into the scene and make perfect sense within the context of the character's actions. 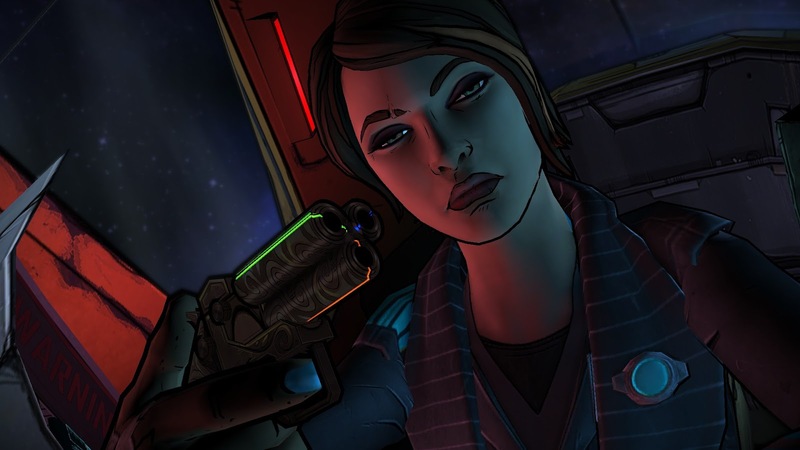 Underneath it all, Tales From the Borderlands is still about truth, teamwork and ambition. The lessons learned by Rhys and Fiona come through in the framed narrative of their conversation with a mysterious kidnapper. Though each has their own story to tell, what we really experience is the story of their growth as a team. The dialogue throughout Tales focuses on communication and honesty. It should be no secret by now that the late Handsome Jack figures heavily in the story. The story of his fall was the best thing about the Pre-sequel and his path in Tales is even more riveting. Again, it is difficult for me to go any further without potentially ruining some very special moments. I cannot conjure a single reason that you should not pick up Tales From the Borderlands. It is available on Steam, Playstation, Xbox, Android and iOS. No one should miss out on this game, no matter your familiarity with the Borderlands franchise. Beyond any doubt, this has become both my favorite Telltale series and my favorite Borderlands game.